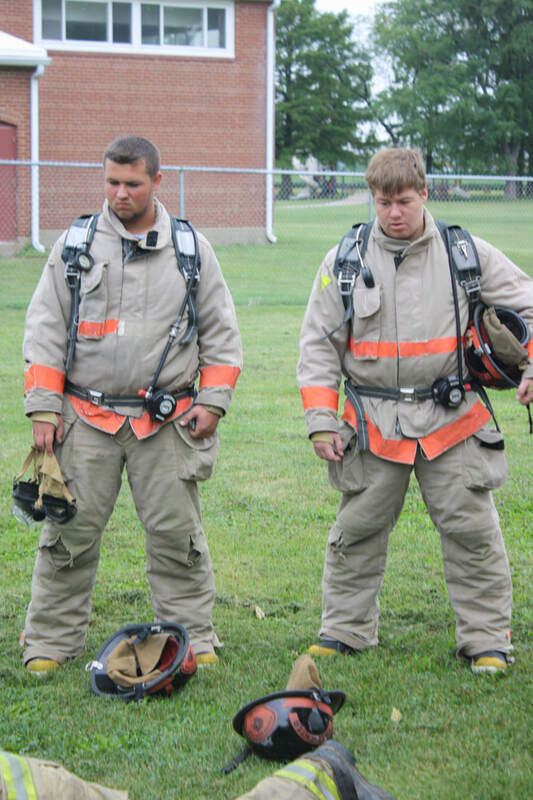 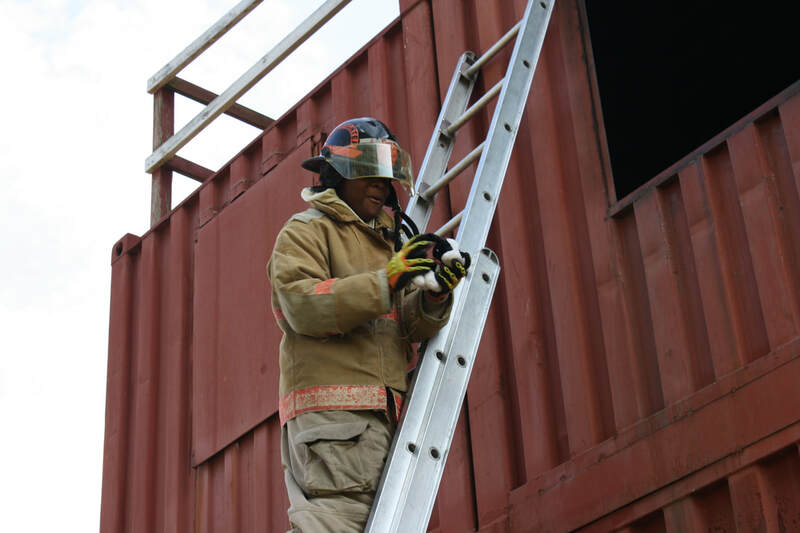 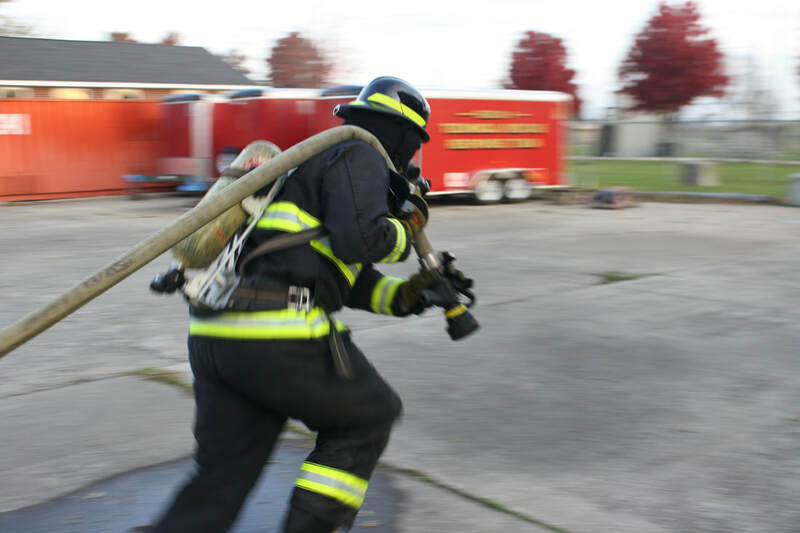 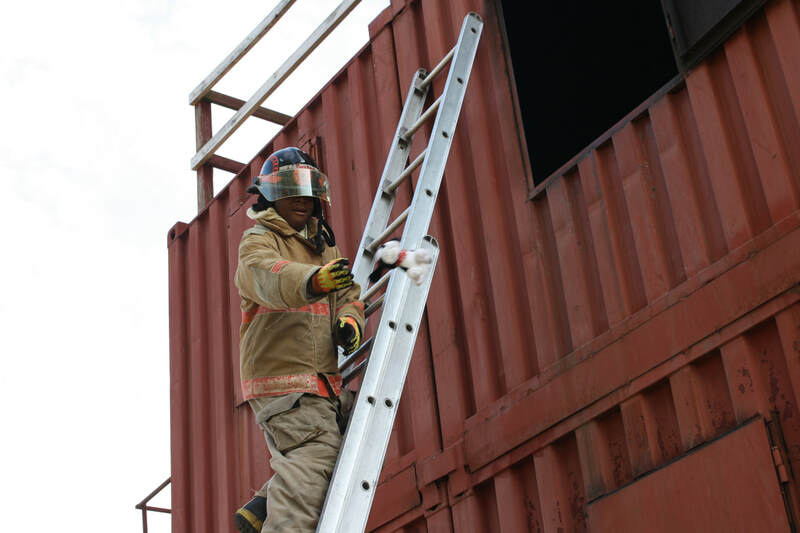 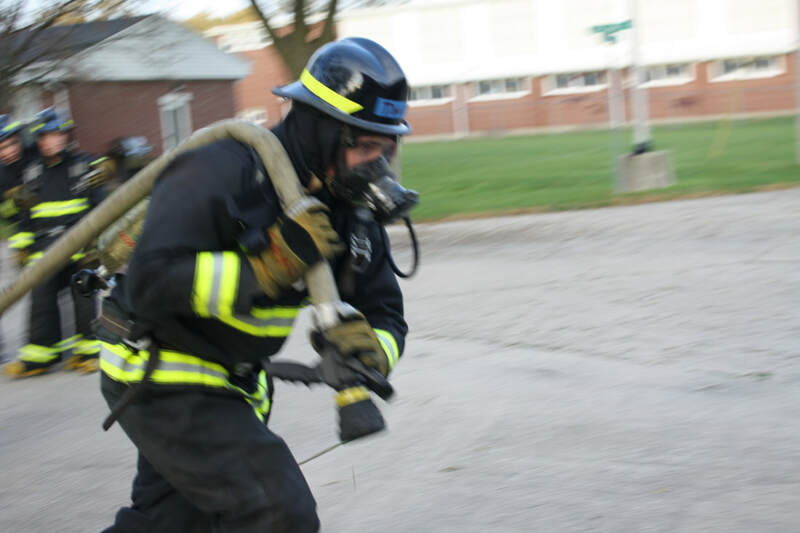 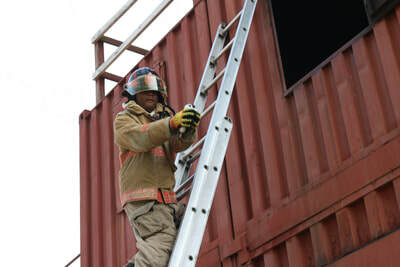 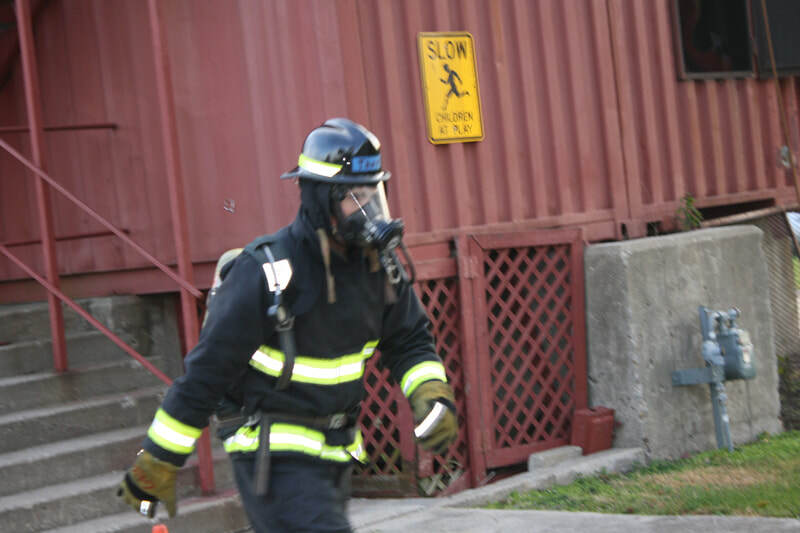 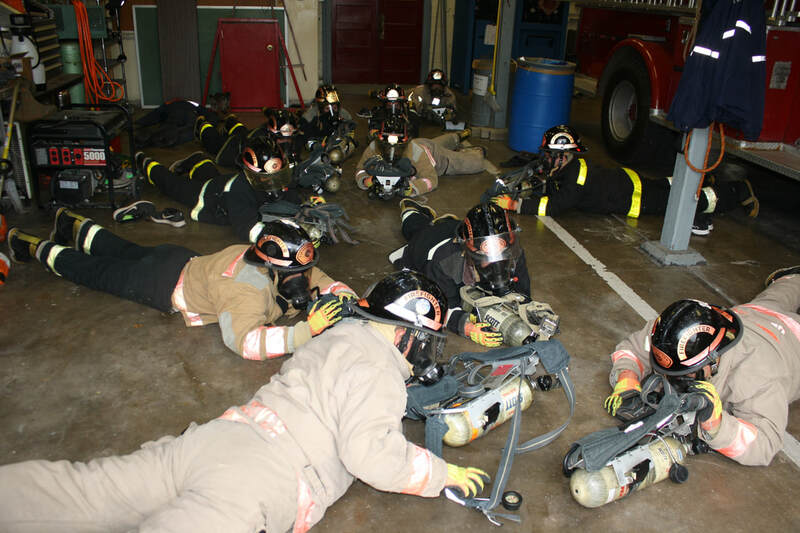 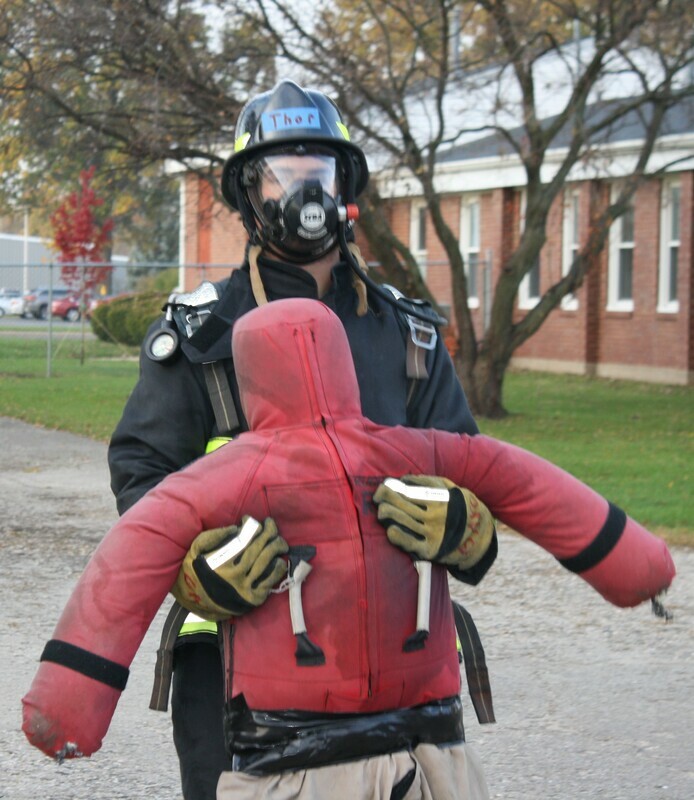 This course is designed to prepare students for entry-level fire fighter positions. 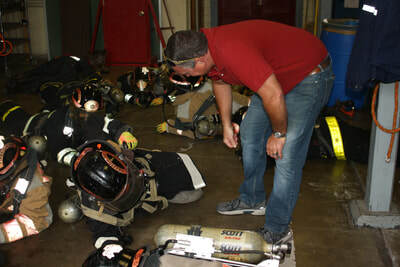 Students will learn through classroom and guided practice activities the essentials of fire suppression, which includes: fire department orientation and terminology, fire department history, understanding fire behavior, wearing personal protective clothing, identifying ropes, tying knots, using fire extinguishers, performing forcible entry, carrying and raising ladders, operating self-contained breathing apparatus, employing search and rescue techniques, working with ventilation tools and practicing hose evolutions on an operating fire engine all in a safety conscious environment. 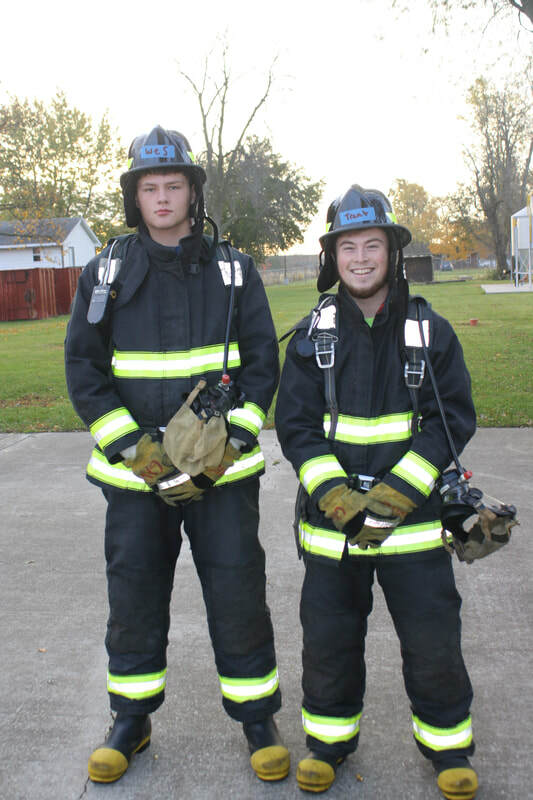 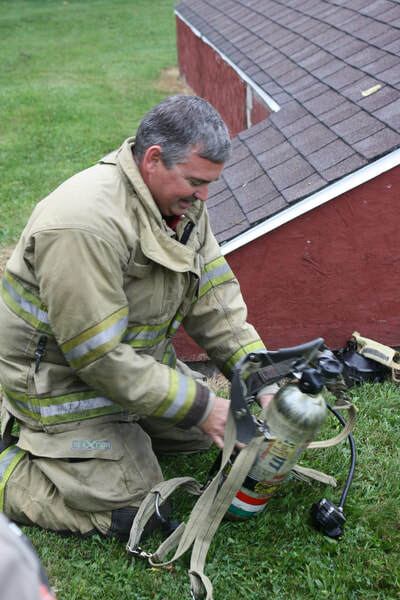 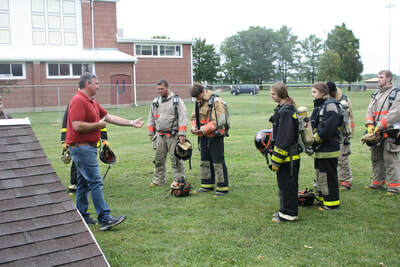 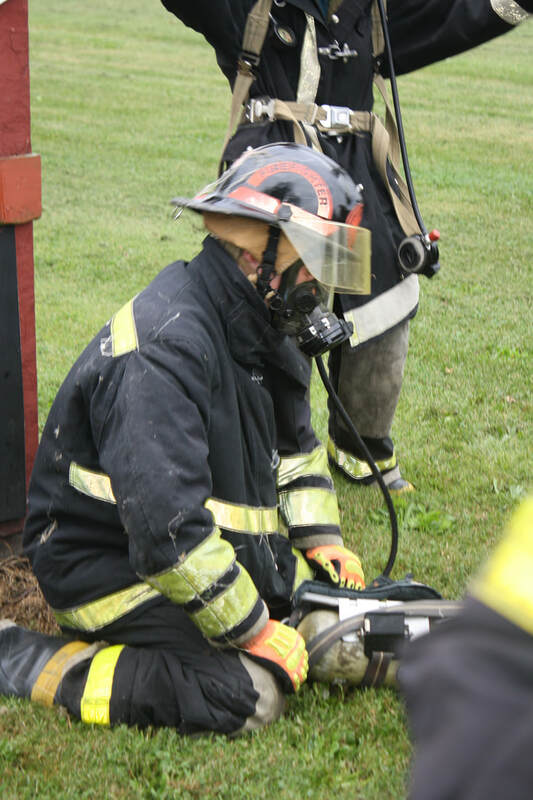 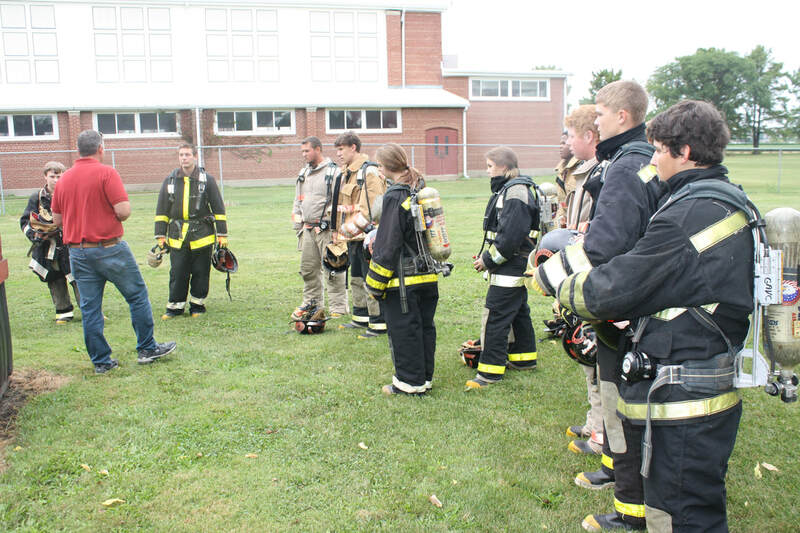 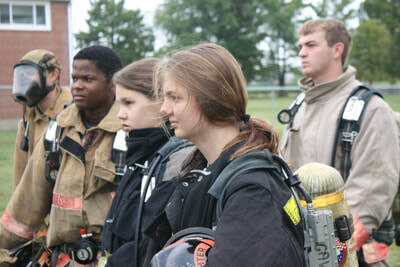 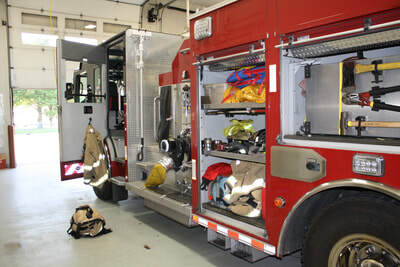 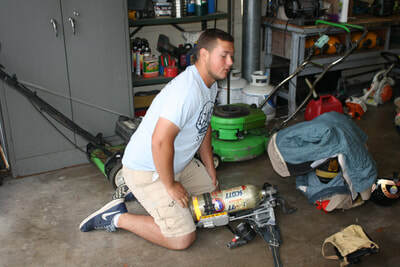 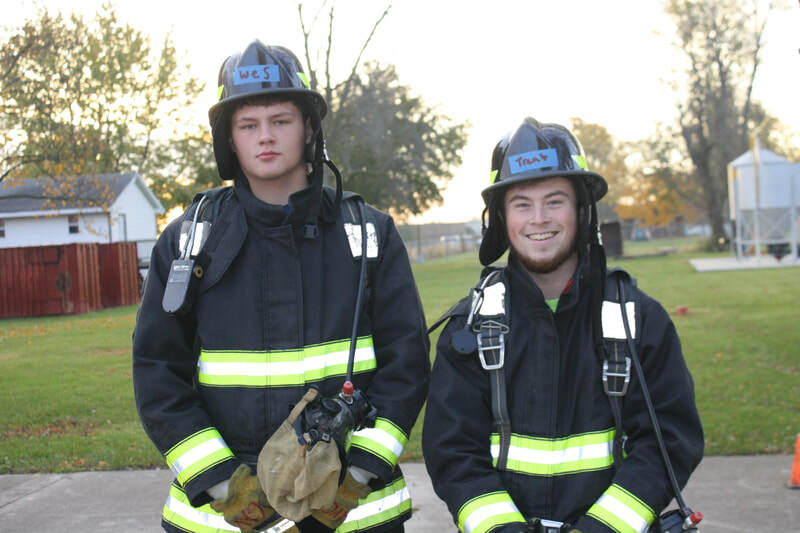 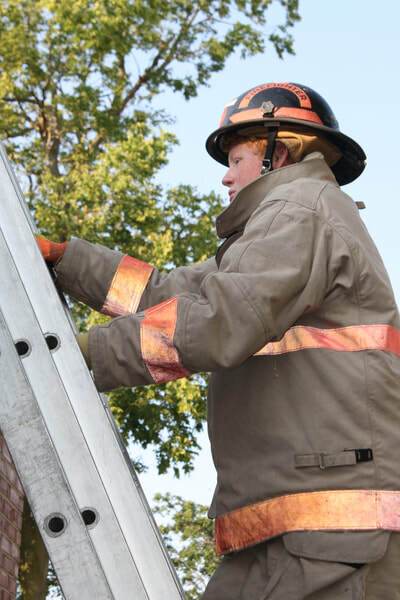 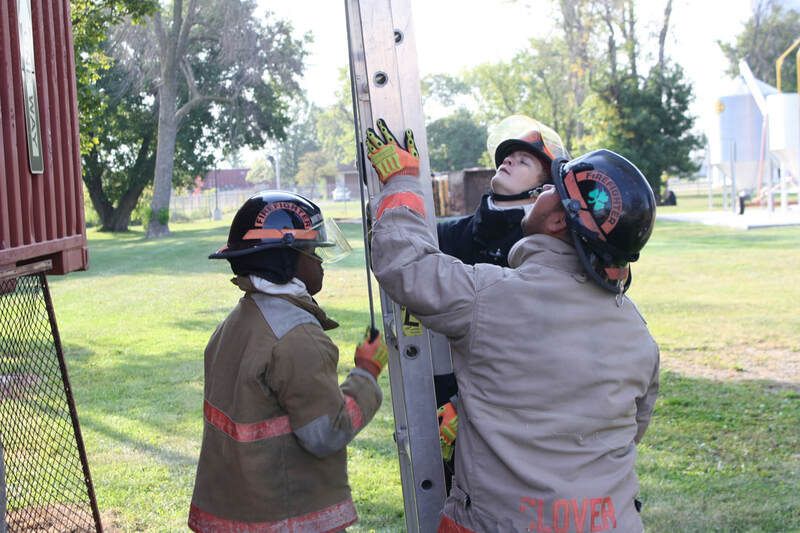 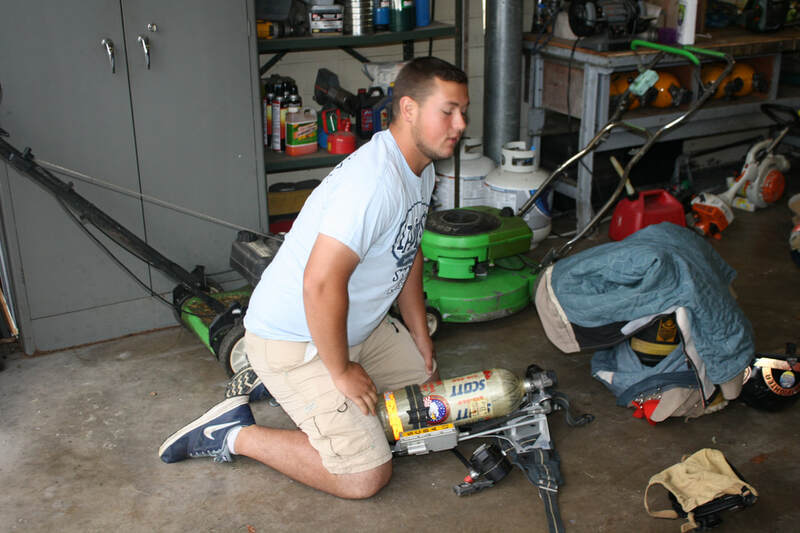 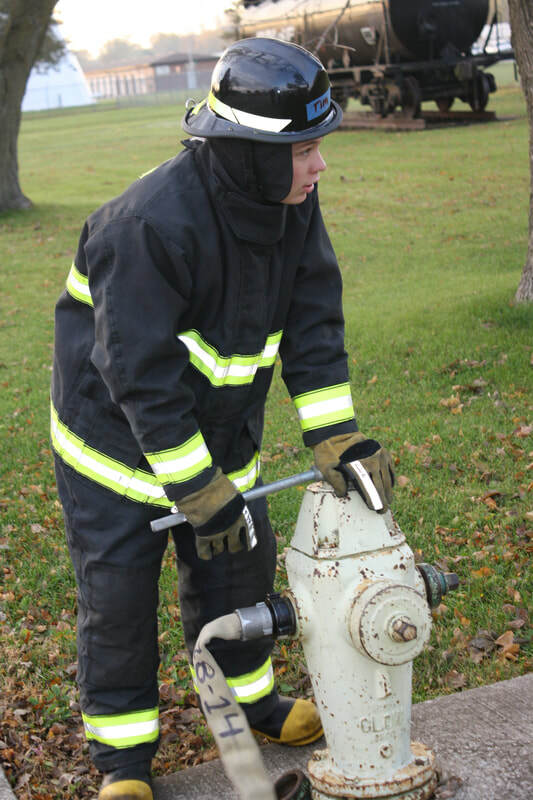 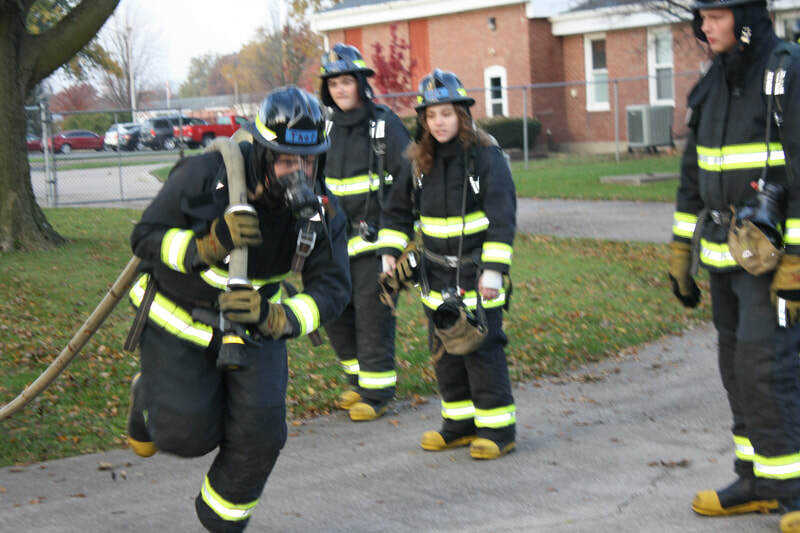 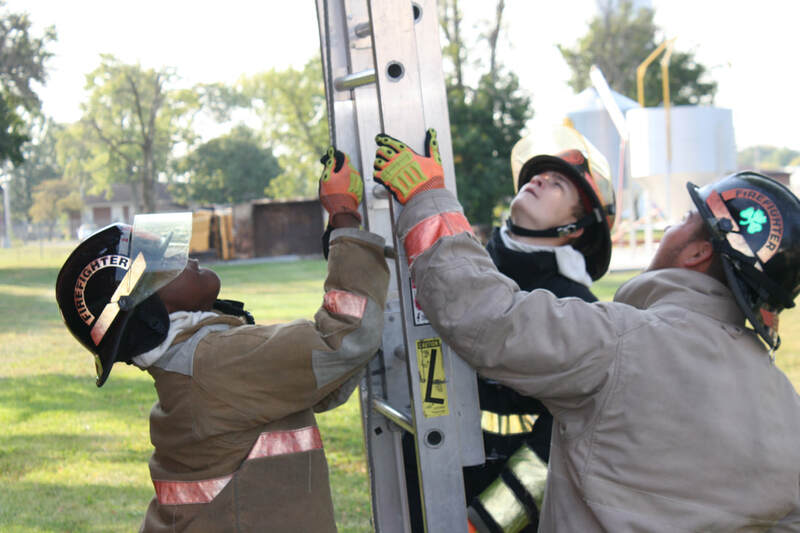 These skills along with leadership and communication skills will prepare the student for certification through employment opportunities with many fire departments. 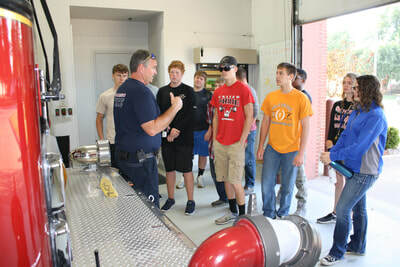 Mr. Chris McCance from Getz Fire Equipment recently stopped by the fire science classroom to talk with students about fire safely and shared with students the responsibility of being a Service Technician where protecting life and property is the number one priority with Getz. 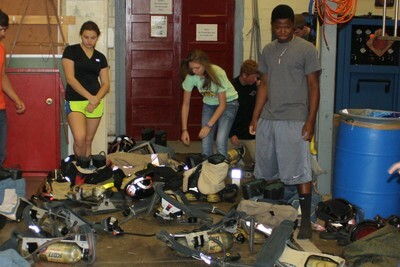 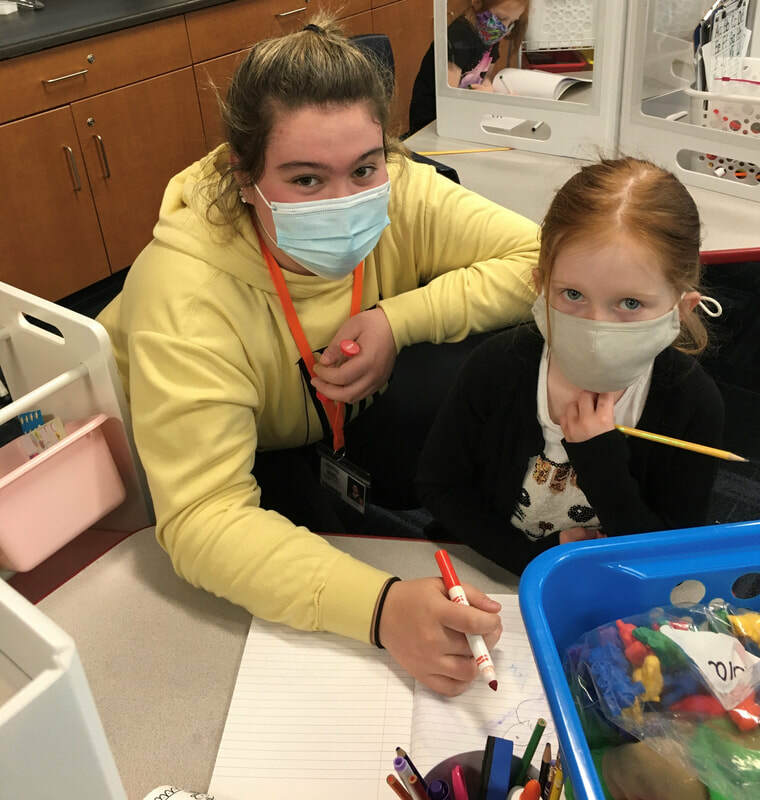 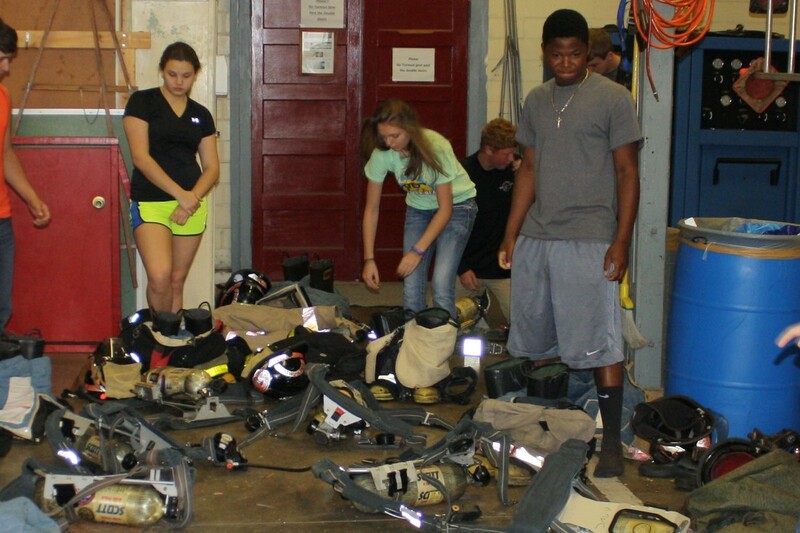 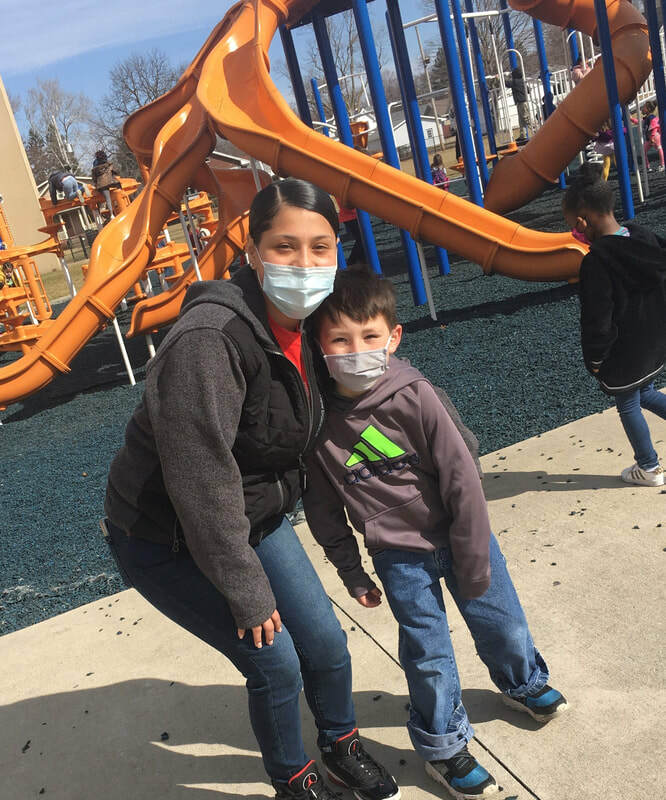 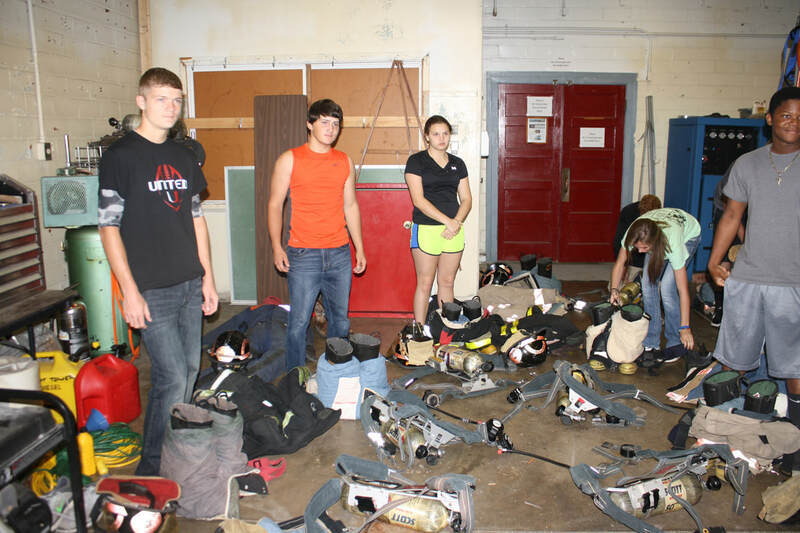 Students have started getting into gear and learning about personal protective equipment and working as a team during fire rescue. 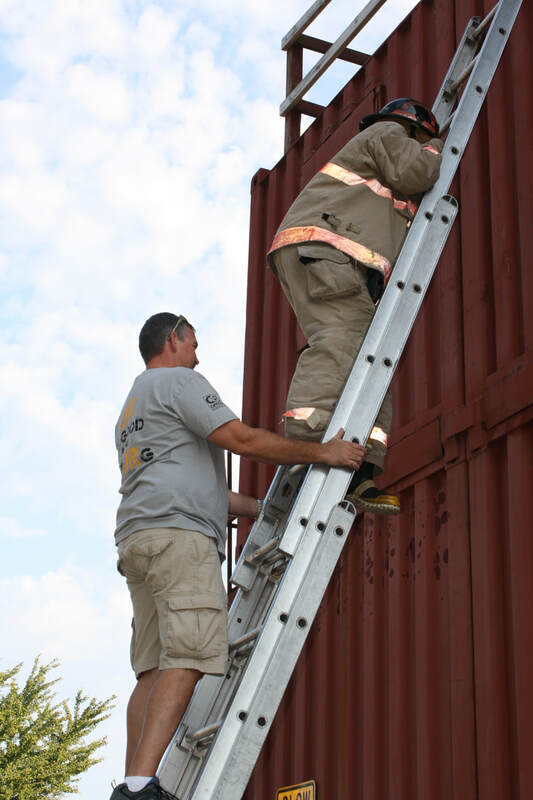 risk involved! 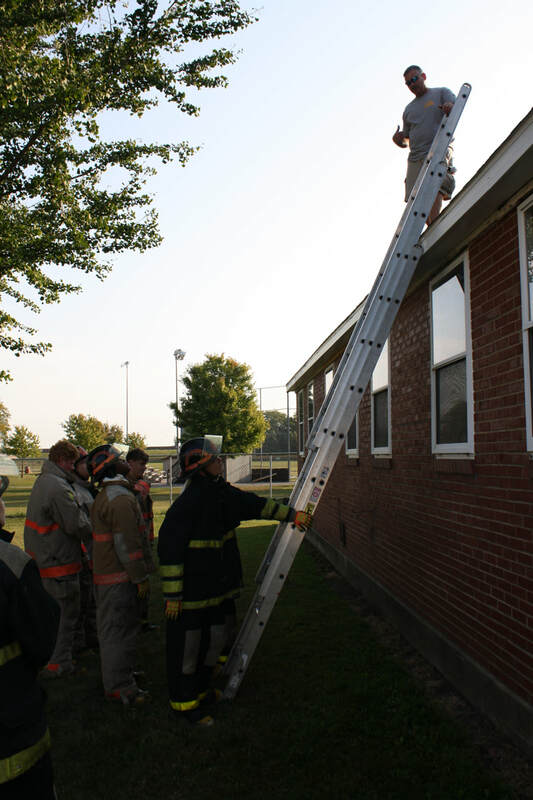 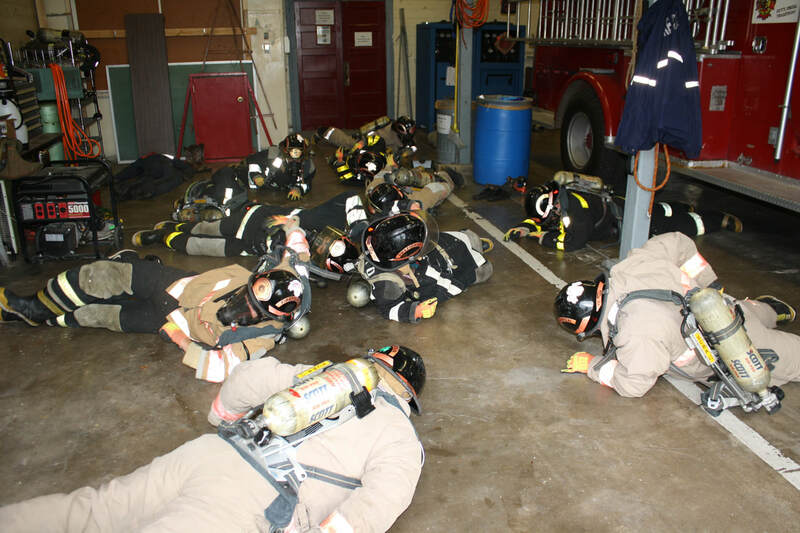 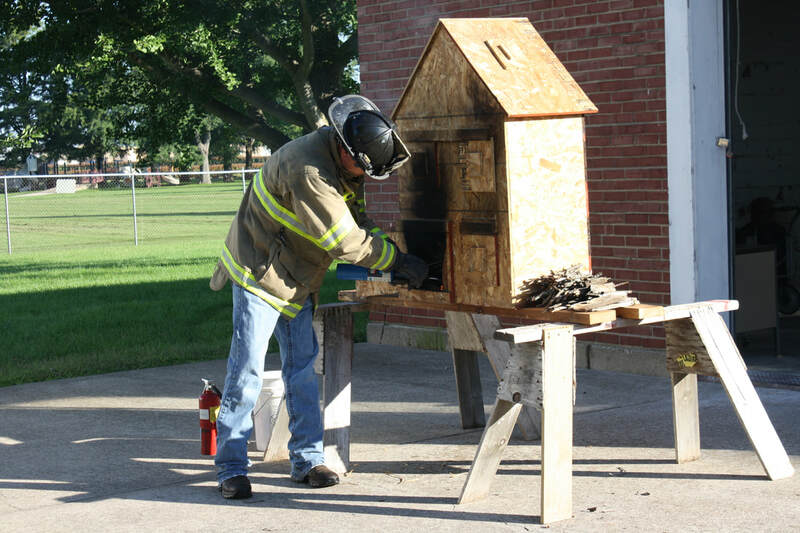 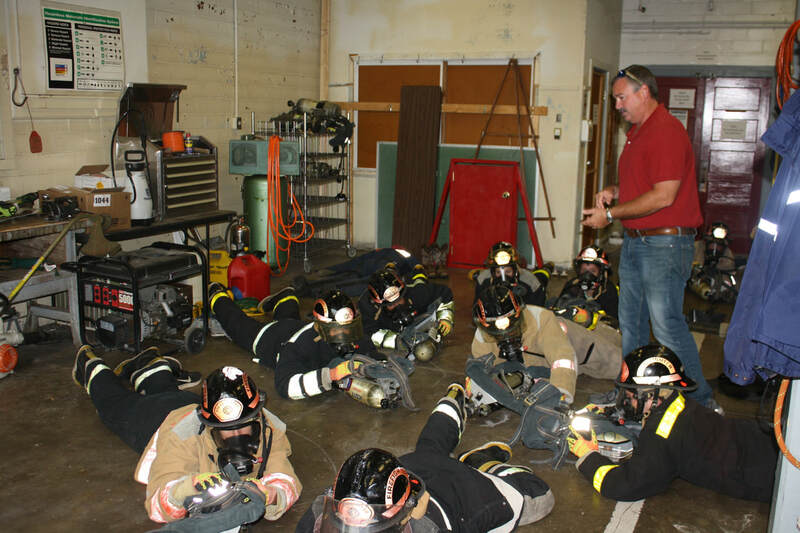 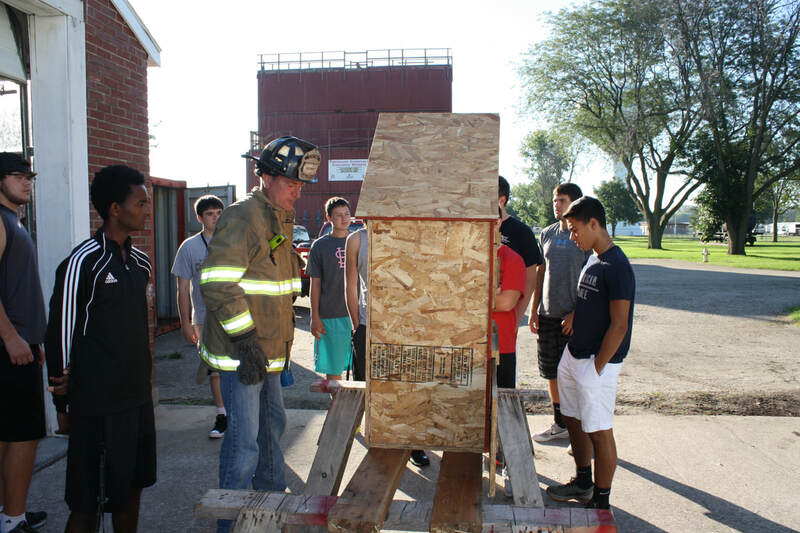 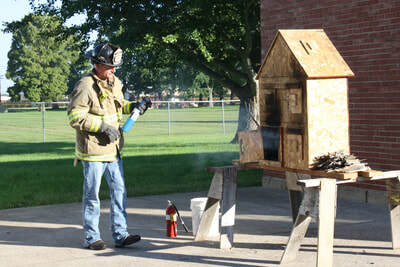 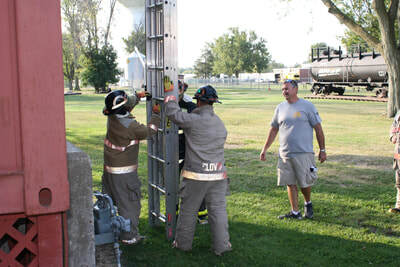 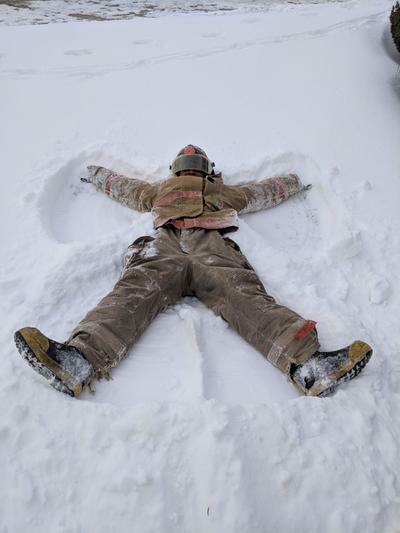 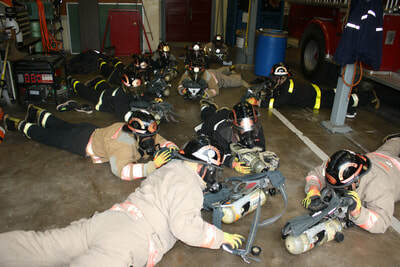 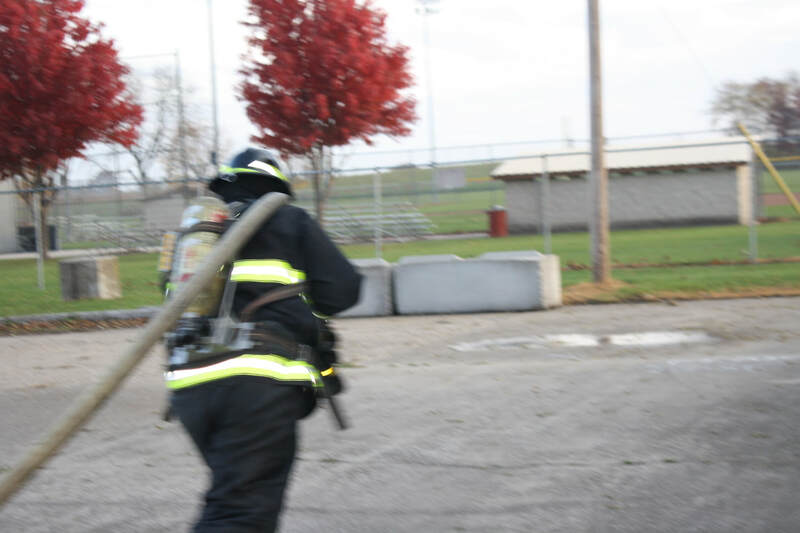 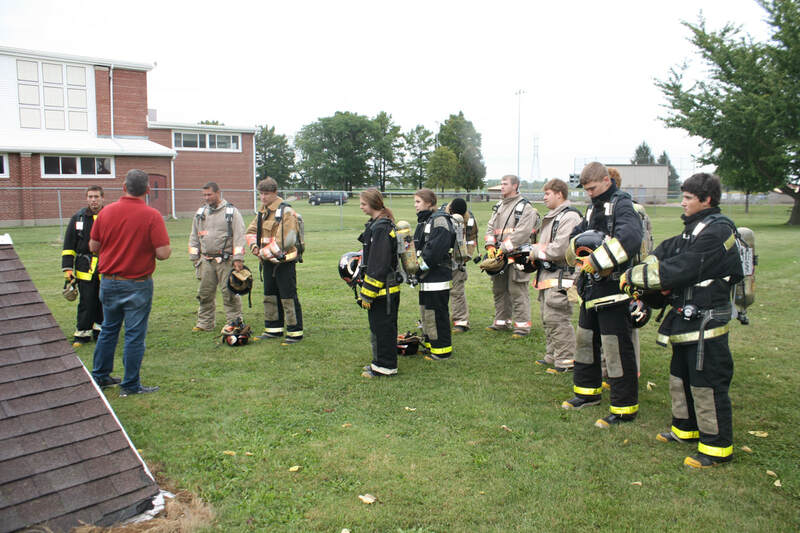 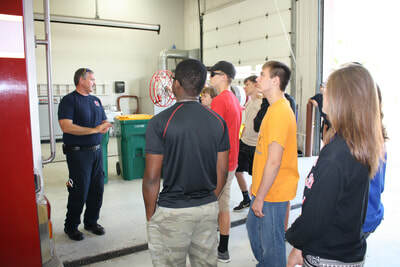 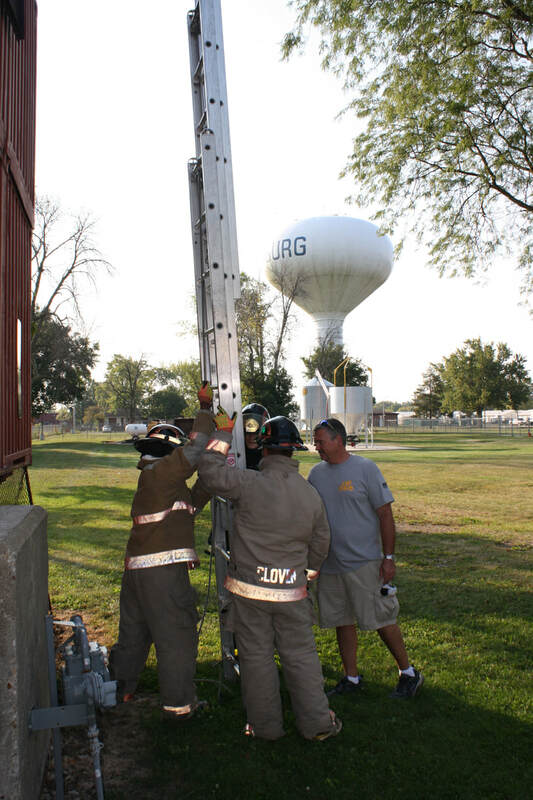 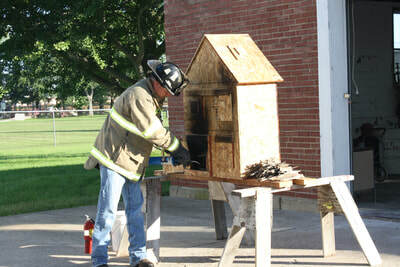 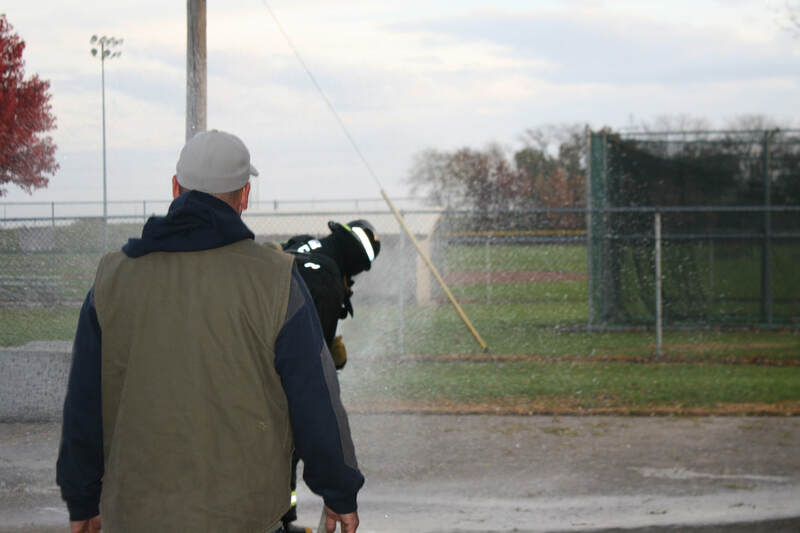 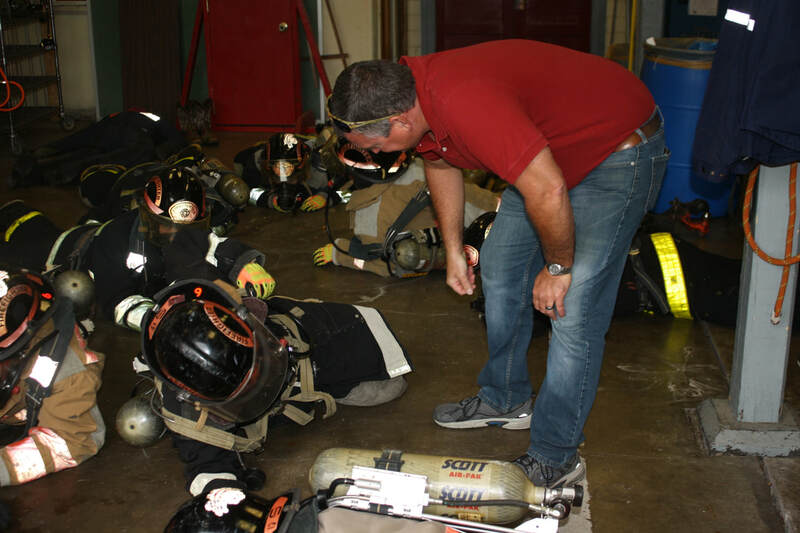 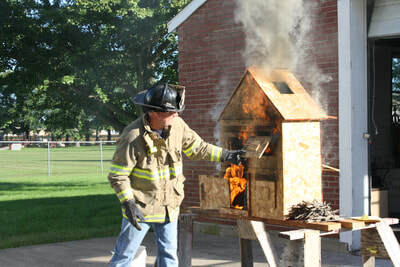 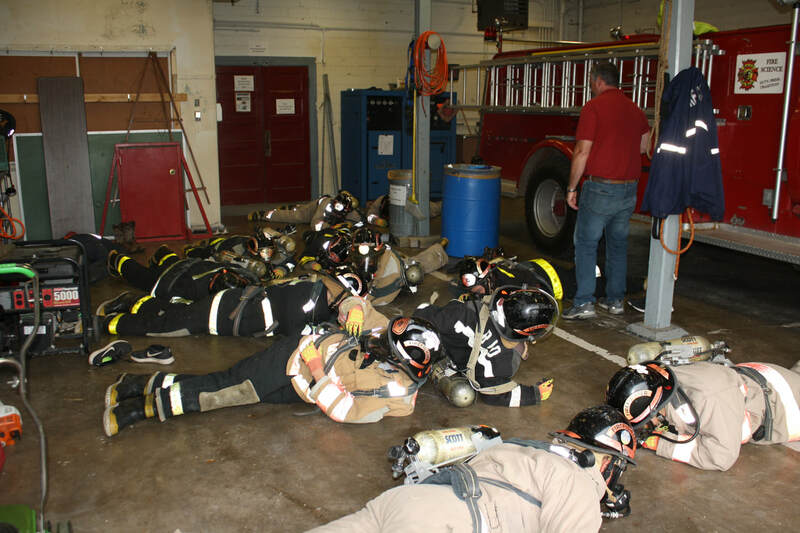 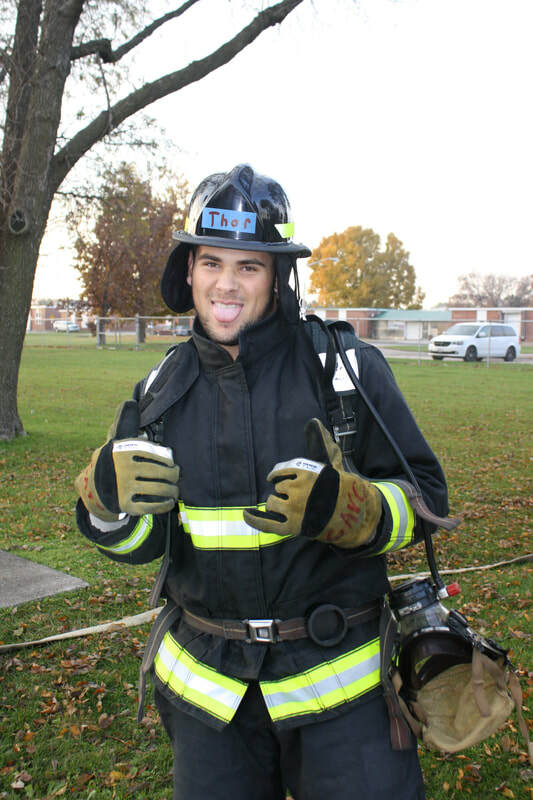 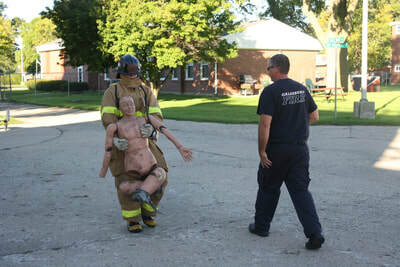 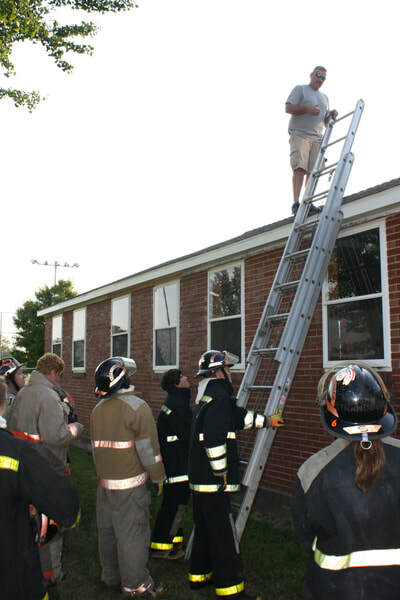 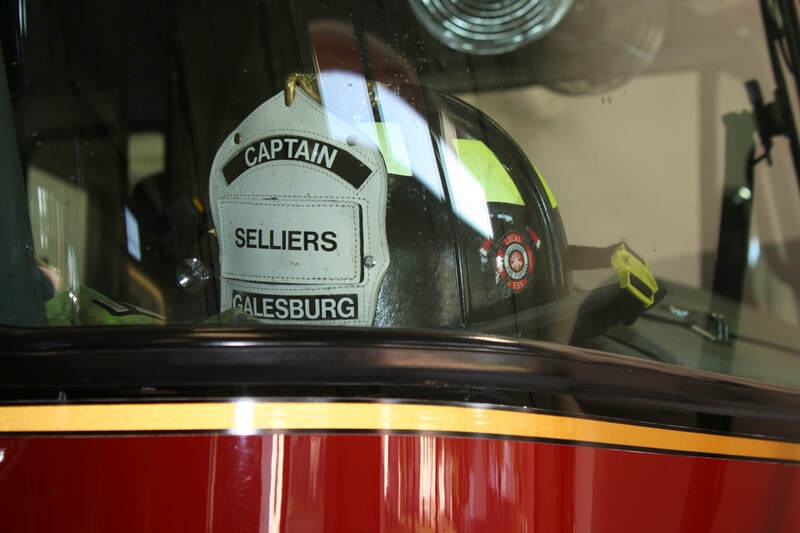 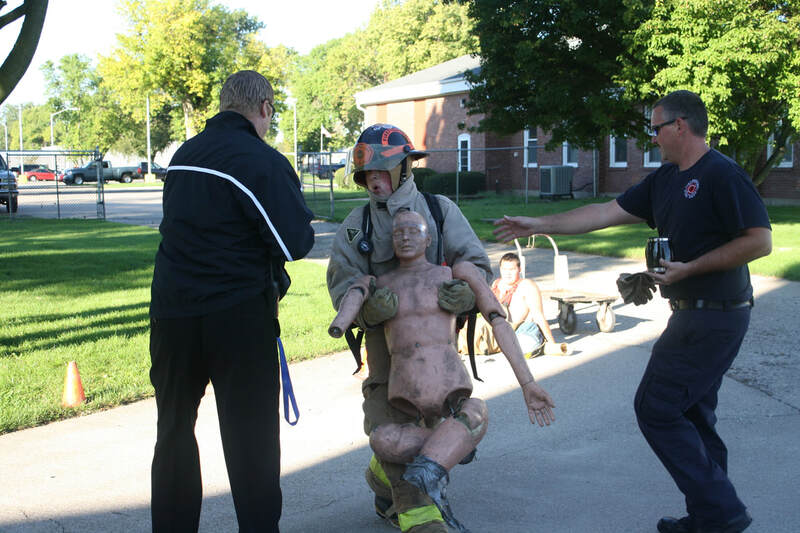 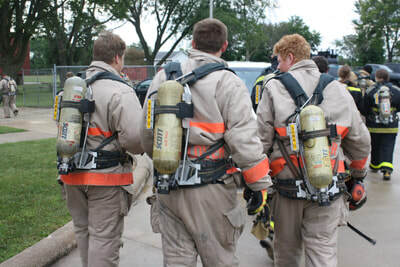 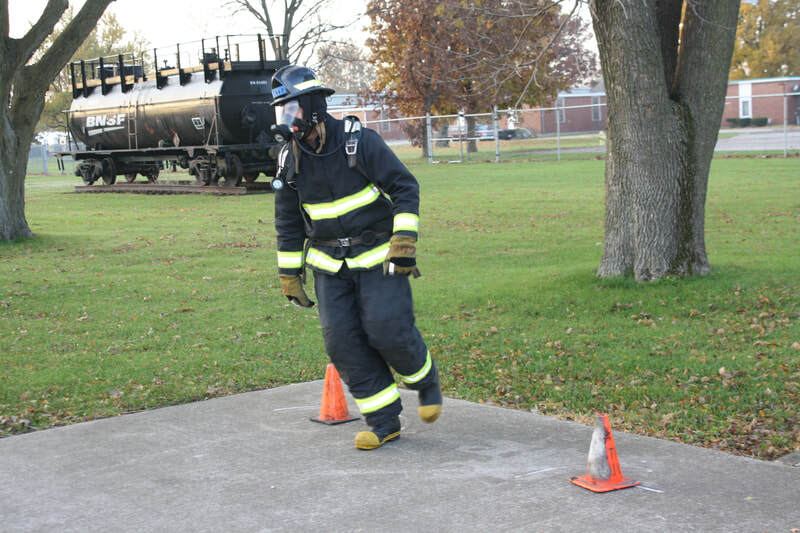 The "burn cell" was created by Galesburg Fire Department members to support an arson investigation class with the side benefit of allowing the GAVC group to experience supporting evidence of the fire behavior chapters of the curriculum. 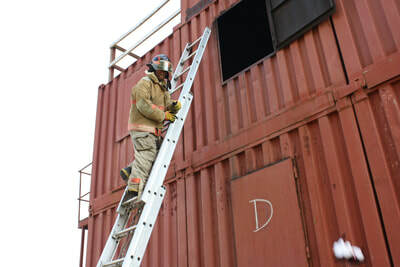 They witnessed the fire starting out small and growing to involve the entire compartment with all the stages of fire development pointed out. 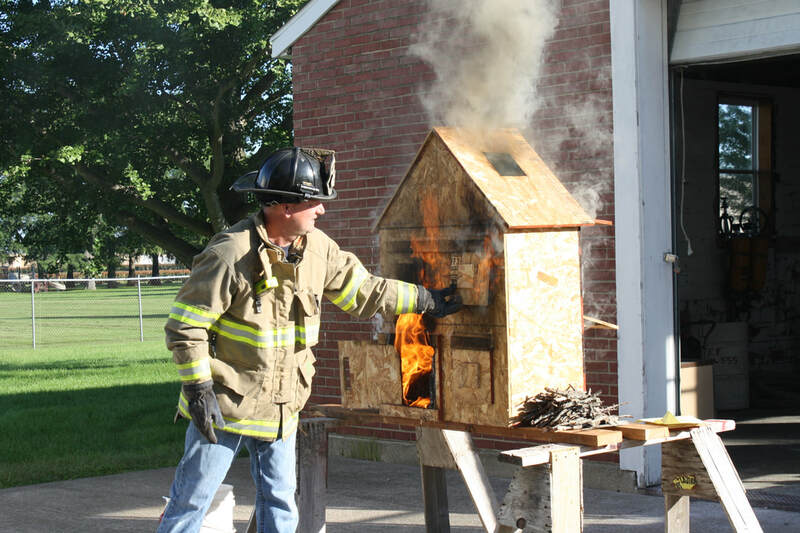 One of the interesting points is how the accumulated heat and energy in a structure fire can begin the burning process on articles of furniture and decoration that are not in direct physical contact with the flame. 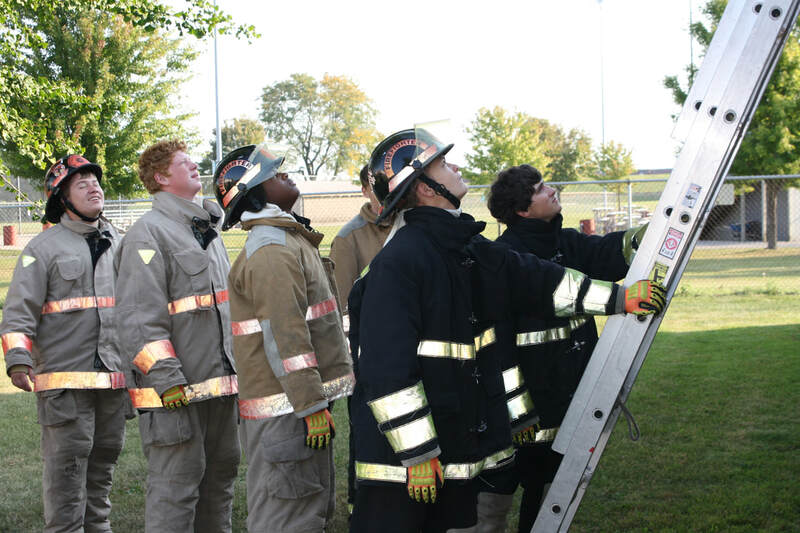 Just a way to show how the study of the sciences and their vocational applications can impact our surroundings and our lives.